Readers of the blog know that I’ve said before that you shouldn’t use a smart phone for backcountry travel. The most important reason for this is that you’re using battery life which will make it hard to use the phone to call for help. 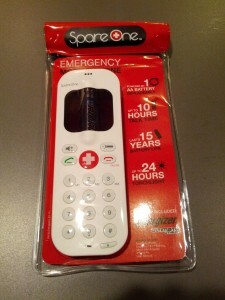 Then I came across the SpareOne emergency cell phone. I tweeted about it a few weeks ago, and I decided that it was such a good idea that I would buy a few and give them as Christmas Gifts. To summarize the concept, the SpareOne phone is a very simple, voice only cell phone that operates on a single “AA” battery. You probably know that any cell phone, even one without a SIM card, can call 911. The SpareOne goes one step further by allowing you to install your own SIM card, allowing you to make non-emergency calls. I envisioned this device sitting in my car in case I ever run out of power on my main cell phone, and need to make a call. It would also be available in the case of a region-wide power outage like you get when a large earthquake happens. In the waterproof case you could also put it in the bottom of your pack (it weighs about the same as two “AA” batteries with the single “AA” installed). Add a spare battery and you’re set for a few days of calling. 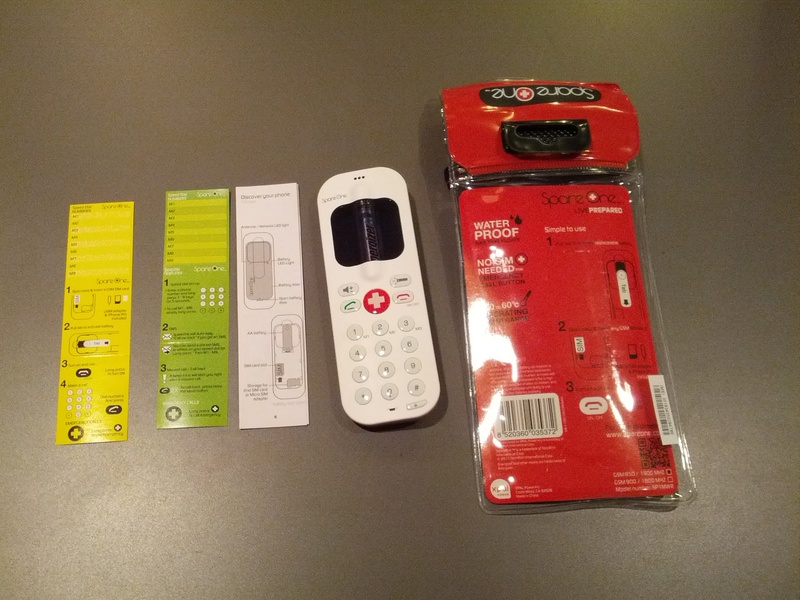 I ordered two “family packs” of two phones each, intending one for myself, another for my partner, and two more to be distributed among the family. The first thing I noticed is that, unlike the videos on the web site, the phone is shipped in a re-usable, waterproof package. 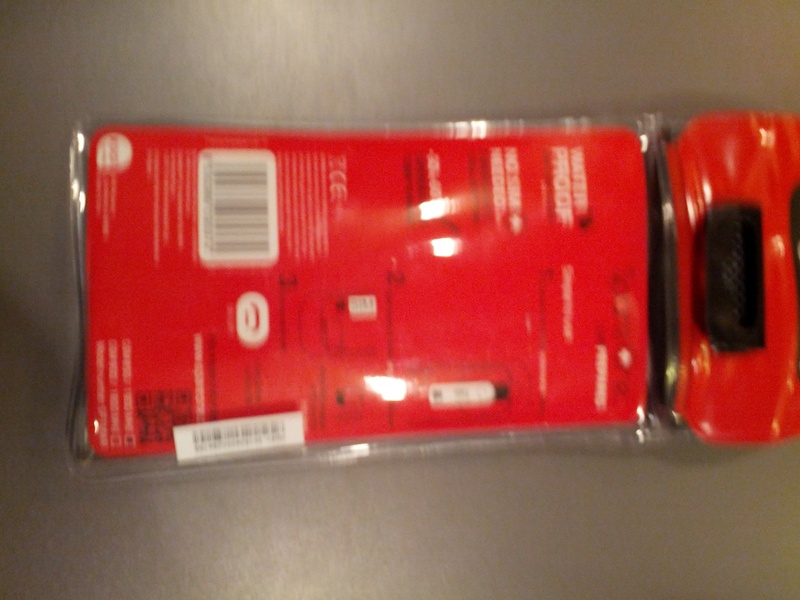 It’s a ready to go, no tools necessary, double zip-locked, Velcro roll-top. The phone itself is very flat. You can see the pre-loaded battery through the “window” in the phone. 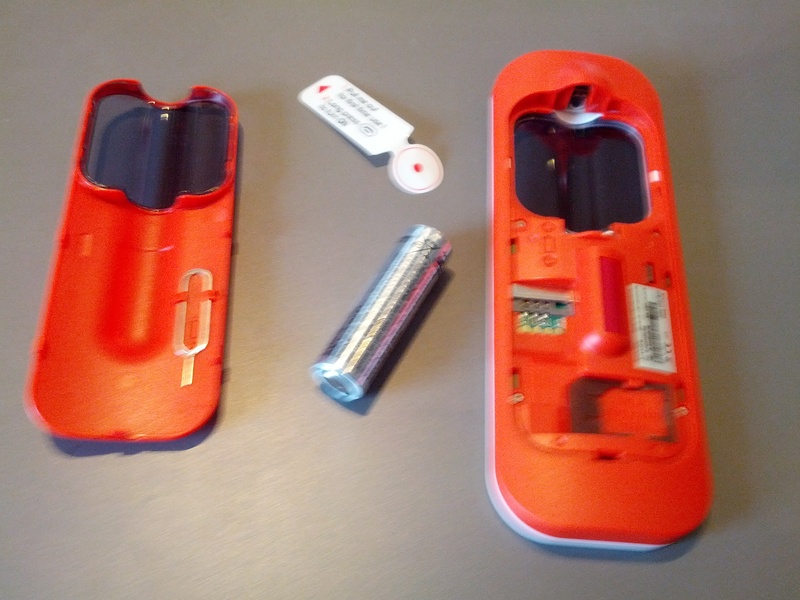 The battery is protected from accidental discharge by an easily removable (and replaceable) plastic strip that prevents the battery from making contact until you remove it. 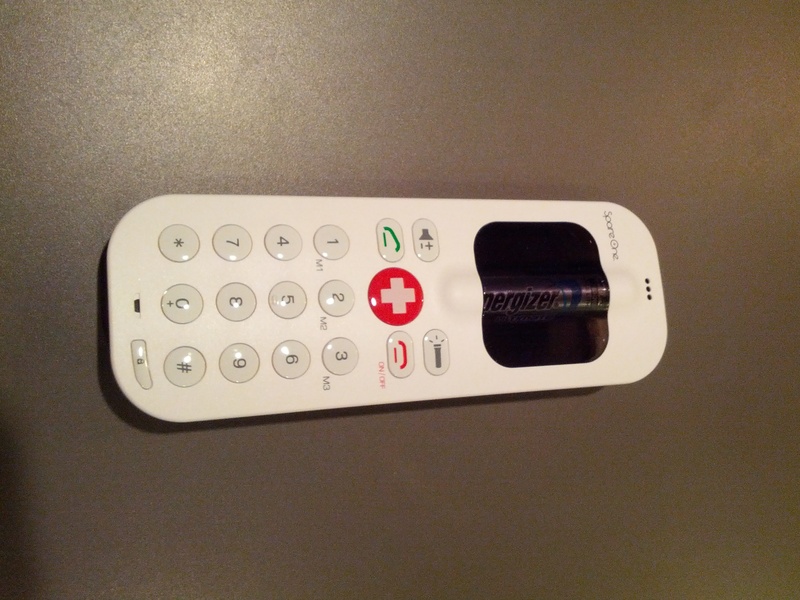 The phone also comes with some handy stickers where you can record important numbers. You can also enter speed dial numbers into the phone itself. 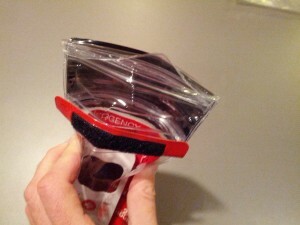 Simple instructions are included in the packaging. 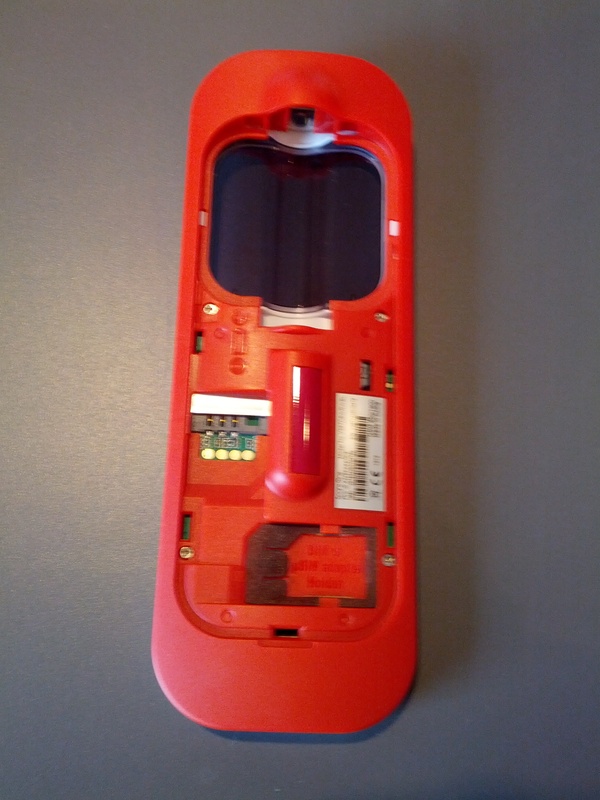 Back of phone, showing battery door and removable plastic strip that protects the battery. 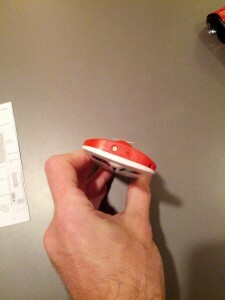 The phone also serves as a simple LED flashlight; holding down the light button on the phone activates it. Opening the phone to insert the SIM card is easier than removing it from my regular cell phone, which brings me to my first point. 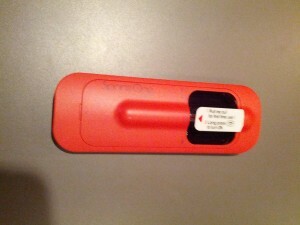 Apple iPhone users need a special tool to remove the SIM card from their phones. That tool is included (see photos below). 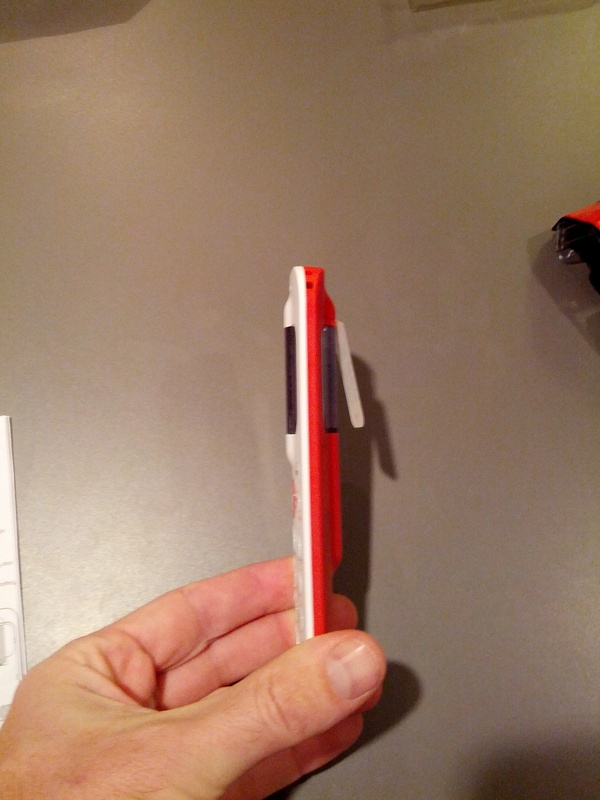 Also, some iPhone users need an adapter to let the “MicroSIM” fit in the SpareOne, that is also included. Phone opened, battery removed, showing re-usable plastic battery terminal strip. Note the iPhone SIM removal tool on the battery door (left). By the way, that’s an Energizer Ultimate Lithium L91 battery. They are known for holding their charge longer, having a better operating temperature range, and they weigh 1/3 less than an alkaline battery. It’s a nice touch that the product ships with a long-life battery. I installed my SIM card and the battery, closed the battery door and turned the unit on. After a few seconds, the blinking blue light indicated that it had locked on to a network, and I tried my first call: dial the number, hit the green button, listen to the number dial, there’s a beep and then nothing. 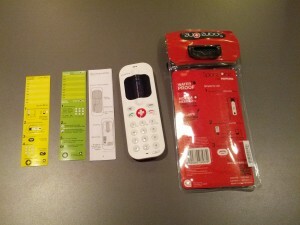 I’ll cut to the chase; the SpareOne phone is a 2G phone, and I have a Telus cell phone plan. Telus used to only run a TDMA network, and when it came to the time to update to GSM, they went straight to 3G and skipped the 2G technology entirely. I verified this in three of my Android phones. The Android has a setting that switches the phone to 2G in order to save battery life. On each of these phones (HTC Hero, Samsung SII, Samsung Galaxy Nexus) I installed, the SIM, turned it on, made a local call, switched to 2G, and tried another local call. On each phone the call in 2G mode did not go through. I then verified with SpareOne customer support that the “beep” after dialing means that a network was not found. My partner’s iPhone runs on Fido, so I installed her SIM card into the SpareOne, powered up and made a call without a hitch. I’ll be gifting these phones to several family members over the next few weeks (Christmas). As we test them on various networks I’ll update this post with the results. I’ll also bring it to my SAR team to get their impressions. The SpareOne phone seems to be an excellent device, with really nice touches in the attention to detail. They could have shipped it in a blister-pack, and they could have shipped with batteries not included, or with a regular alkaline batter. 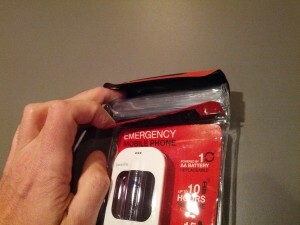 Instead they designed a great waterproof reusable package, and included a battery perfect for placing the phone, as is, into an emergency kit. Runs on a single “AA” battery. 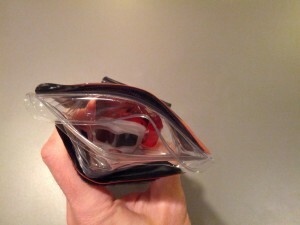 Comes in a waterproof package. Useful in emergencies, when batteries die in your main cell phone. Does not work on Telus (3G Only) network! The 911 button is astonishingly easy to press, remember to lock the phone if you have the battery in and it’s turned on. ‹ Why does SAR Search for Dogs? But will it work in very remote places with no cell reception (like satellite phone)? This is a very simple and regular 2G GSM cell phone and doesn’t have any special abilities for remote areas.